Anson Chan knows of what she speaks as one of the very few people who have served as both an Official and Unofficial Legco member. Chan then listed incidents to illustrate what she calls “the assault on freedom of the press,” including outspoken political commentators being sacked, journalists attacked on the streets, and the case of the missing booksellers – which she said was “in flagrant breach of the Basic Law”. Chan also mentioned a threat to academic freedom at HKU and the ban on independence debate in schools. “The really scary thing is that these developments are now coming so thick and fast, they no longer even seem to cause surprise,” she said. She warned Hongkongers not to be “accustomed to a new normal” when it came to the dishonesty and lack of accountability of government officials. Chan said the legal basis for banning pro-independence candidates from standing for election was “dubious at best and likely to be the subject of a legal challenge”. She called the process “arbitrary and politically biased”. She also said what fuelled the localist and pro-independence movements was a feeling of powerlessness that arose from “the absence of full universal suffrage and the ability to vote out officials”, warning that such sentiments will only grow as the government attempts to stamp them out. “The frustration on the part of young people… they don’t want mainland culture and values to creep into Hong Kong,” Chan said. She also said that the government should have allowed for an open discussion about the topic, rather than “using a sledgehammer”. “I think there are very few people in Hong Kong who are actually pressing for independence. It almost leads me to believe that the Chief Executive has a hidden agenda… to create such havoc in Hong Kong that he has more reason to persuade Beijing that a strong pair of hands is needed to keep Hong Kong in control,” she said. She added there was a need to “find a pathway to a more mature party political system” which could work with a democratically elected Chief Executive. Chan called for a more effective relationship between the Legislative Council and Executive Council. 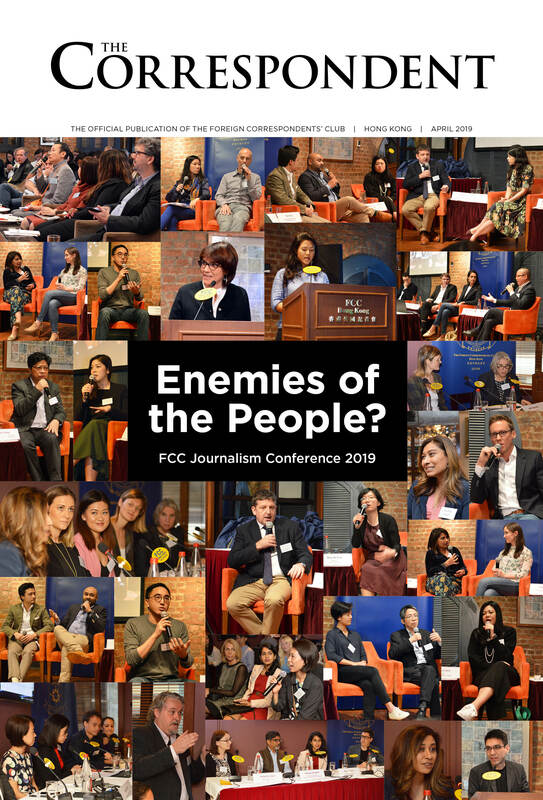 When Chan, who retired from the Civil Service in 2001 after 39 years, announced she was standing for the Hong Kong Island constituency in 2007, the FCC was one of the first places she spoke at… and where she first aired her increasingly “radical” positions about the future of Hong Kong.